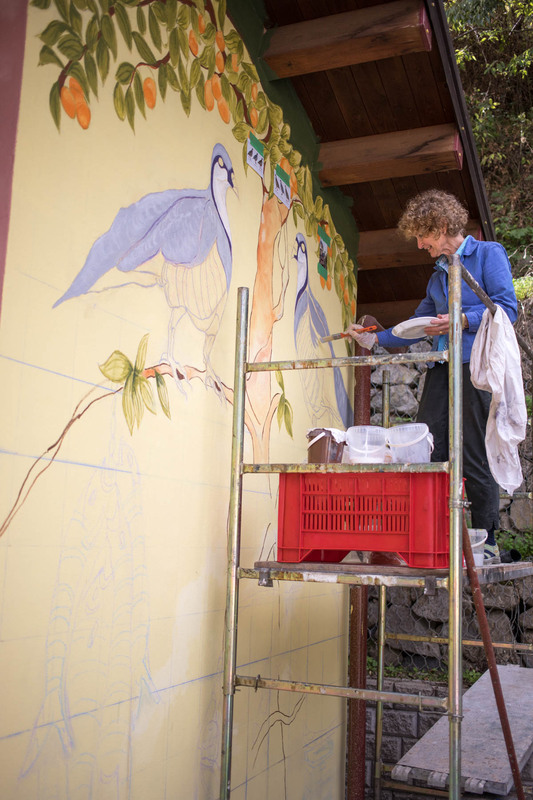 Alison’s mural was the highest location in Graniti at the very end of the Terazza park. 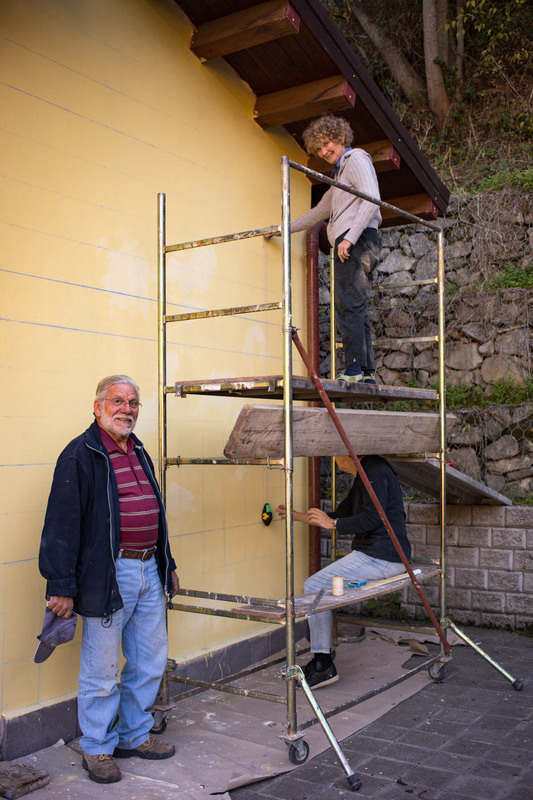 She chose the wall of a public washroom facing the forested hills above the town. Alison has a passion for avian subject matter and had researched Sicilian birds before arriving. 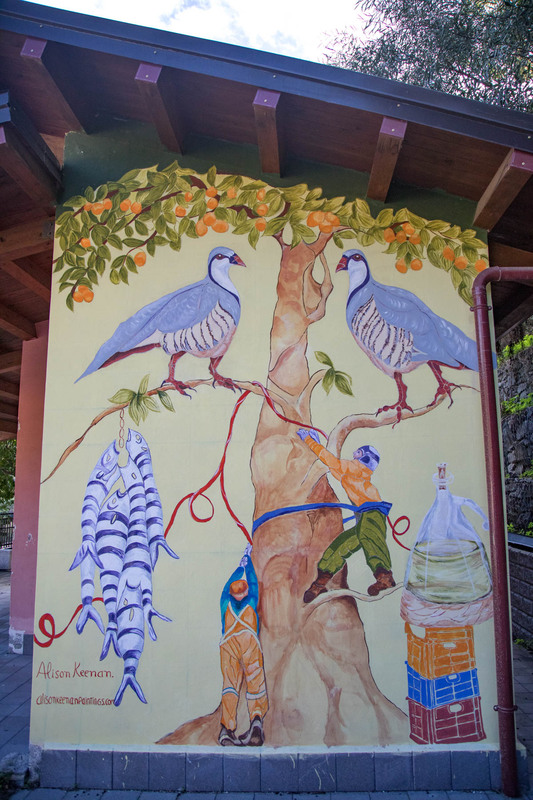 Her airy feeling mural design features two endangered partridges sitting on the branches of an orange tree. A few workers surround the tree winding the red ribbon around the trunk while a catch of local fish and large flask of olive oil flank either side. Alison worked long hours on her mural but had many local visitors bringing her edible gifts.